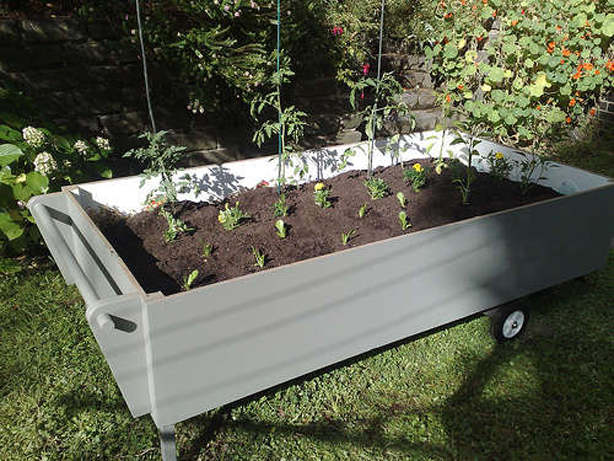 Spotted on Instructables, this mobile garden-on-wheels is a stylish step up from planting in a wheel barrel. The only available sunlight in the designer’s property was right in front of his garage door. Necessity, being the mother of invention, inspired the design of this rolling potagère. 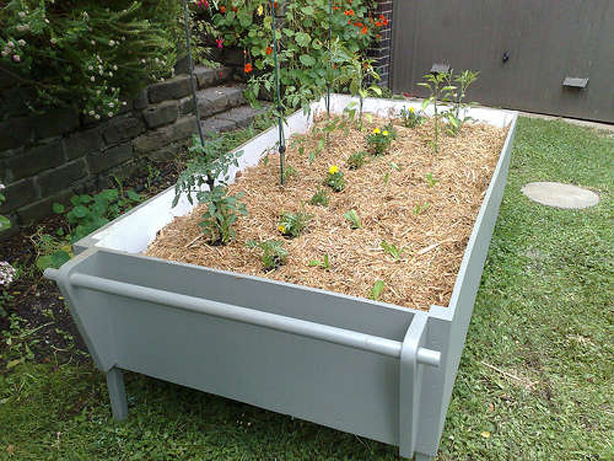 Consider building with recycled wood, or a beautiful, sustainable wood such as reforested teak. Check to see that the wood is certified by an independent body like the Forest Stewardship Council. Look for the FSC logo or ask your supplier to provide documentation showing from where the lumber was sourced.